You will be able to protect a five-seater car with a single bottle of Leather Pro-Tech. Extends leather life by keeping your fabrics cleaner, longer. Leather Pro-Tech (Leather Protection) by Always Dry Australia protects all leather from water and oil-based stains. It is breathable and extremely durable thanks to unique Always Dry’s Ultra Durable NanoTech Coating. Leather Pro-Tech makes ordinary leather products waterproof and easy to clean. Use it to prevent soaking, swelling or rotting on any leather. This product can be used on any leather. There are literally thousands of uses!! Being alcohol based ensures a much deeper penetration of the active ingredient giving Leather Pro-Tech much better durability and overall performance. Typically a treated surface will last five times longer than conventional water-repellent coatings, with the lifespan of the product on soft tops for as long as three years. Users are not limited to just a car interior. 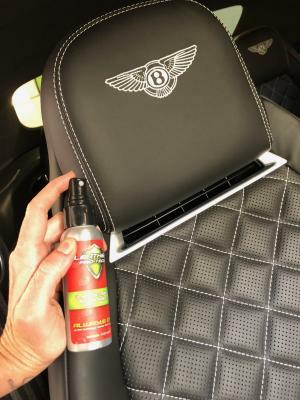 It can be used on motorbike seats, boat seats and even leather shoes. Protect all your leather products thanks to Always Dry. Order a bottle today or have us apply it for you. Just apply Leather Pro-Tech to your leather apparel by an easy to use pump spray bottle. It is a safe, long-lasting leather protective coating that doesn’t affect the breathability of the leather. It will also not change the look or feel of the leather whatsoever. 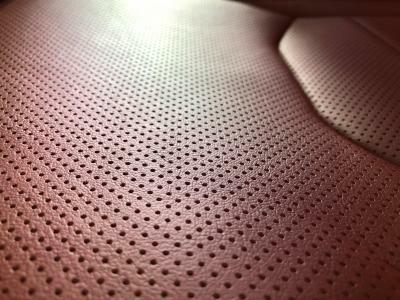 When applied to leather, a cross-linking bonding action takes place on an extremely microscopic or nano level that protects the individual fibres. The formulation bonds directly around the fibres and form a shield protecting the leather, which resists stains and repels liquid and dirt from absorbing into the fibres.